This is a photo of Bowie (left, owned by Wendy Lutge) a miniature dachshund rescue and Ch. 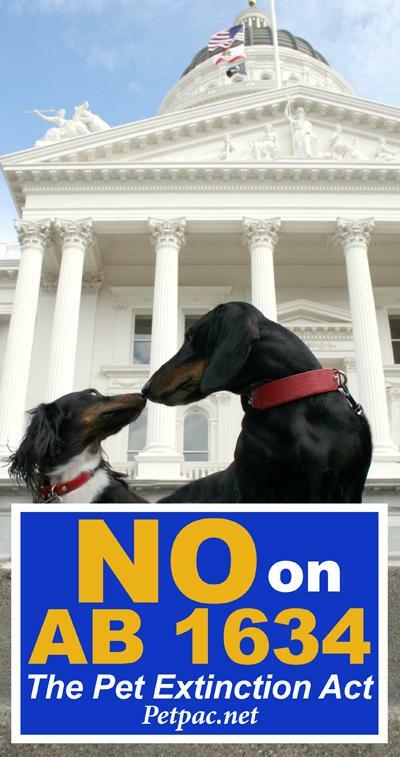 Francis Schoolhouse Rocks (right, owned by Diane Jones) a standard dachshund on the steps of the Capital of California in Sacramento. See Petpac.net for more information.